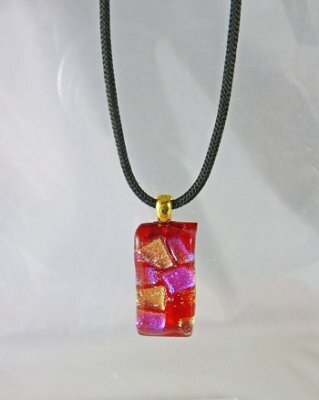 Fused Glass Bar Necklace by Gail Glass. This bar shape pendant has iridescent details. The pendant is about 1" long and comes on a black 15" cord with screw closure. Gold filled findings.